On 17 November 2015, the 195 Member States of UNESCO ratified the creation of a new label, the UNESCO Global Geoparks, during the 38th General Conference of the Organisation. This expresses governmental recognition of the importance of managing outstanding geological sites and landscapes in a holistic manner. UNESCO Global Geoparks are single, unified geographical areas where sites and landscapes of international geological significance are managed with a holistic concept of protection, education and sustainable development. Their bottom-up approach of combining conservation with sustainable development while involving local communities is becoming increasingly popular. At present, there are 140 UNESCO Global Geoparks in 38 countries. UNESCO’s work with geoparks began in 2001. In 2004, 17 European and 8 Chinese geoparks came together at UNESCO headquarters in Paris to form the Global Geoparks Network (GGN) where national geological heritage initiatives contribute to and benefit from their membership of a global network of exchange and cooperation. 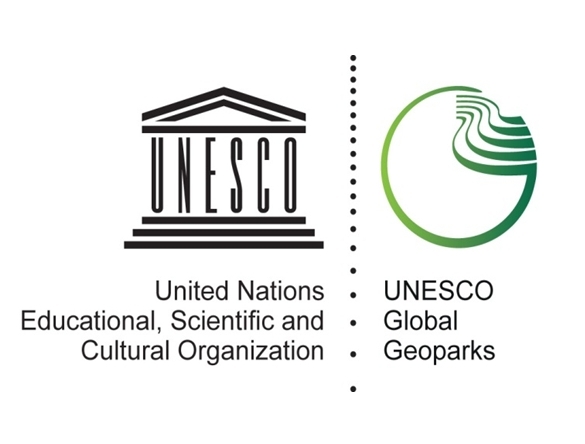 The Organization supports Member States’ efforts to establish UNESCO Global Geoparks all around the world, in close collaboration with the Global Geoparks Network.